December was an exciting month; I added some great birds to my list. Out of them the Snowy Owl and Snow Buntings were the best. I would say they both are not real lifers for me, since I have seen them in Estonia back in 80's, but now they are like lifers. 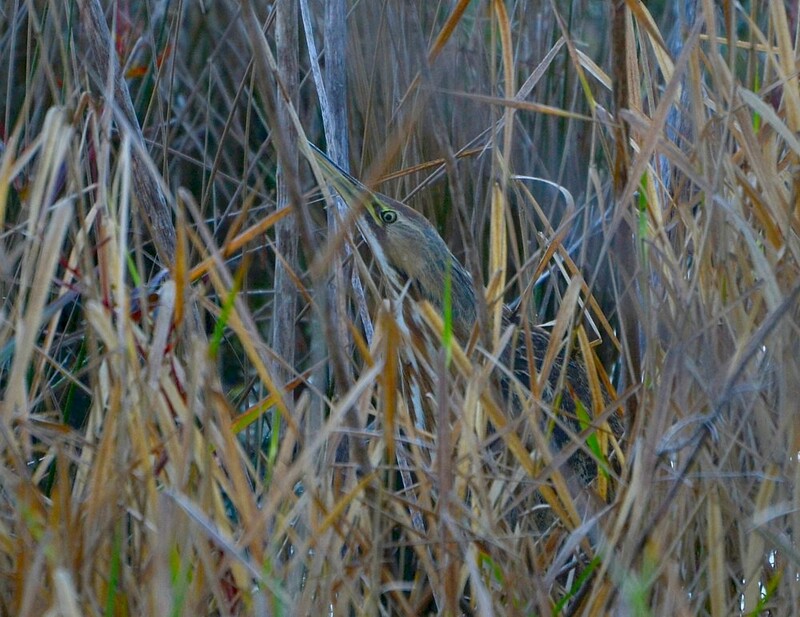 Beginning of December was kind of quiet till Donald Pridgen found an American Bittern at Spanish Pond. I needed that bird badly. I had seen the Bittern back in 2005, but that's a long time ago. I headed to Spanish Pond to look for it, but it's not easy to find a Bittern with excellent camouflage. After little while looking I noticed some movement in thick grass. First thought was, it's a turle, but no, it was the Bittern instead. Back in my mind was thinking, maybe it's mistaken with young Green Heron, but I'm glad that Donald's ID was right. 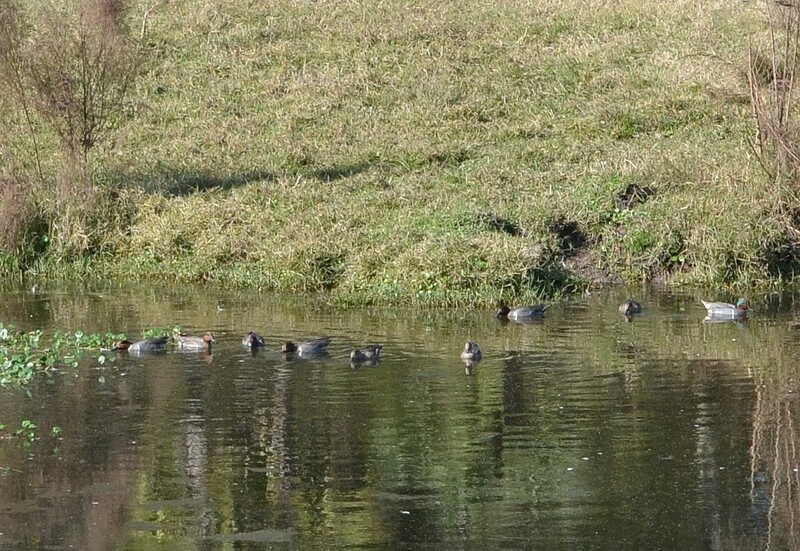 Green-winged Teals are wintering this year again in Jacksonville Zoo. I had not seen them anywhere else, and my almost daily Spanish pond checkout didn't produce any results, so one day I just headed to Zoo, and found 8 Green-winged Teals in African section pond; that's where they always show up. 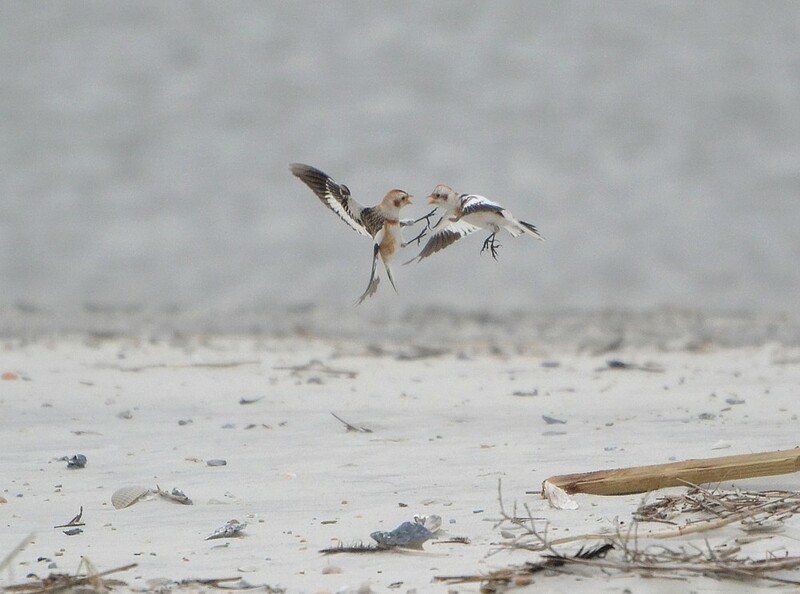 Snow Buntings were seen at Huguenot Park so Kevin, Dave and I headed to look for them. Sand was kind a soft so that we could't really check the North end. Yes, we did try, but it ended with Dave's car getting stuck, luckily we were able to push it out. We decided to park the cars on parking lot and just do the long walk all around the park. Dave had to leave, so I with Kevin did the long walk, but Snow Buntings were nowhere to be found. We had only one last section left to check between jetties and campground, and luckily there they were by the water. Buntings didn't care much about our presents there; they were busy looking for food, and sometimes fight with each other. Christmas Bird Count is one of the biggest birding highlight of the year. Duval County Christmas Count was scheduled on December 28'th. I was in Kevin's team with 7 others. We had good territory to cover: Pumpkin Hill, Cedar Point and Black Hammock Island area. All different kind of habitat gives the best chance to find maximum count of different species. 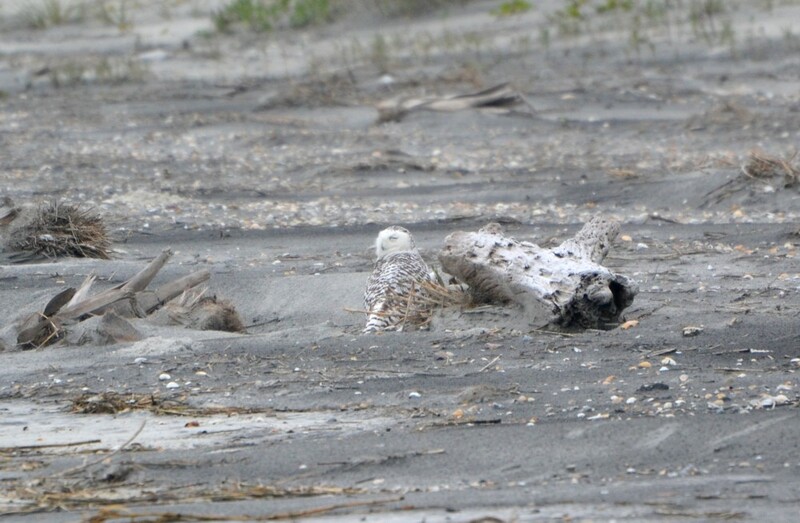 After birding couple of early hours we got unbelievable news - female Snowy Owl has been seen in Little Talbot Island. Didn't take long us to be on a way there, you never know how long the Owl will stay around. 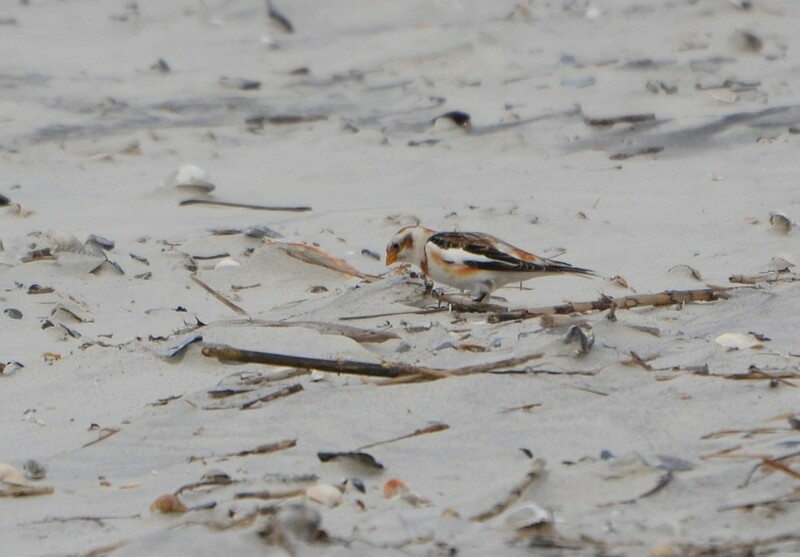 Owl was on the beach as reported, and birders from all over the state started to poor in. This was only third Florida record. After Snowy Owl brake, we got back in Christmas Bird Count till lunch break at Beltz Tiger Preserve picnic area. After lunch break I did a quick checkout to the river and noticed white dots on a distance, what appeared to be American Avocets. I sent quick message to Kevin: "Bring your scope!" and that point oh-no, Avocets took off and I lost them. 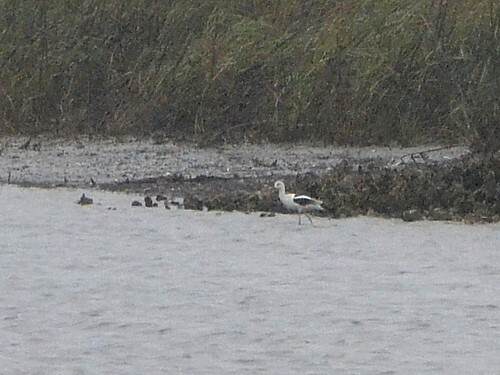 Rodger came first and I said: I think I just saw Avocets! Rodger said: don't tell Kevin, he is not gonna be happy. Luckily Rodger found them quickly on the other side, feeding in shallow water. Nice, new county tick for me. Most afternoon we spent in Cedar Point Preserve, ticking off the birds one by one. Cedar Point is actually good hotspot, but under birded. We found Prairie Warbler, good bird for a winter in North-Florida. Best find was a Western Tanager in Cedar Point. There are only few previous Western Tanager sightings is Duval County, actually both of them in this year, and one earlier record was years ago. 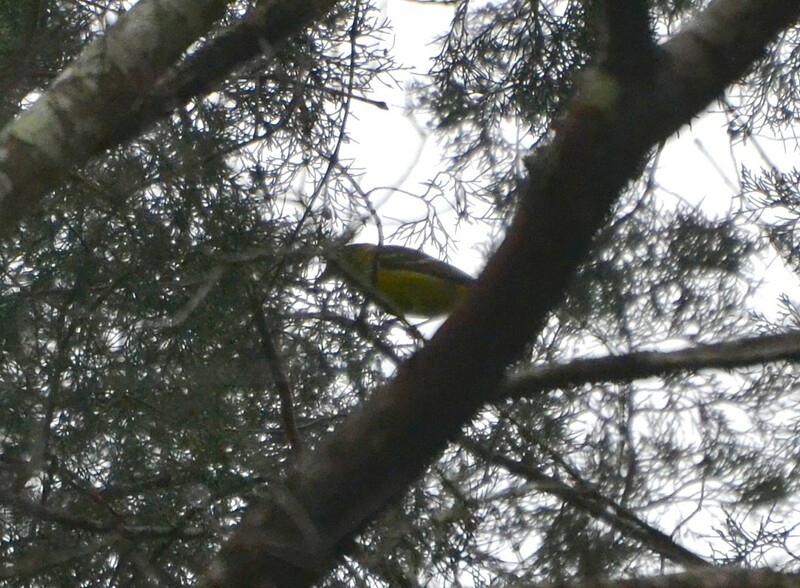 Kevin found the Tanager first, but lost it before I was able to take a picture. Luckily we re-found it later, and I was able to snap a quick pic for ID. Early in a morning Kevin and Rodger saw American Woodcock flying over at Beltz Tiger Preserve road. I was hoping that we were able to see them again after dark, and yes we did get lucky, Woodcock flow over our heads exactly the same place where it was seen in a morning by Kevin and Rodger. No photos for this one, just lucky to see it. 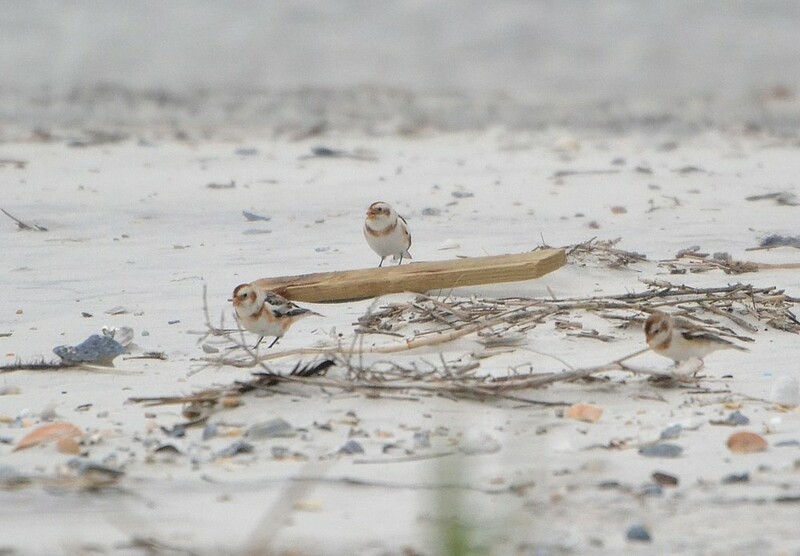 End of the year was really great for Florida because a Snowy Owl appearance, and also Snow Buntings at Huguenot and Harlequin Duck at Fort Clinch State Park, which I was able to see too. What a great way to end a year. This was a record year for me and also for Kevin and Dave, and hopefully some other birders also. So, that's it for this year; hopefully new year brings more great bird to our way.